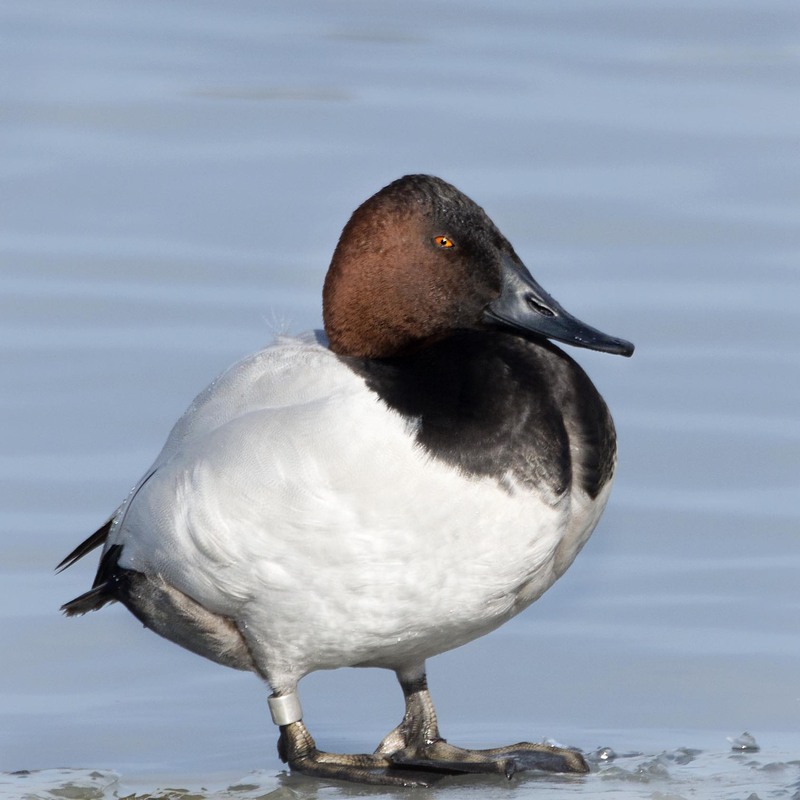 A fine looking male Canvasback rests on the edge of the ice as December makes its arrival known. He is out on parole. He looks like he knows he’s handsome, too. Well-fattened for winter! Nice capture, Mike. He is a bit of a chub for sure and hopefully those well stored calories see him through the winter. He’s a beaut. Wonderful shot! Thanks Belinda and hope you have a really wonderful week. Thanks and so far so good. Thanks, we only get a few of these guys passing through each winter so it was nice to see this guy. Thanks Ted. Hope you had a great day and wishing you a wonderful week. Thank hope you have a wonderful week ahead. Looks like he’s really giving you “the eye”. That’s a great photo. Hi and thanks. I do think we were indeed getting the eye from this fine looking guy. Hope your day has been great and wishing you a wonderful week. Haha! Out on parole. I wonder if he is being followed, and if so where all he has been. Great looking character, Mike. Nice shot. Thanks, he is out on a parole of sorts given he has been banded. Hop your day has been fine and wishing you a wonderful week.